The revised front end, including an updated grille, hood, and fascia, makes the updated Sonata look much more suave. 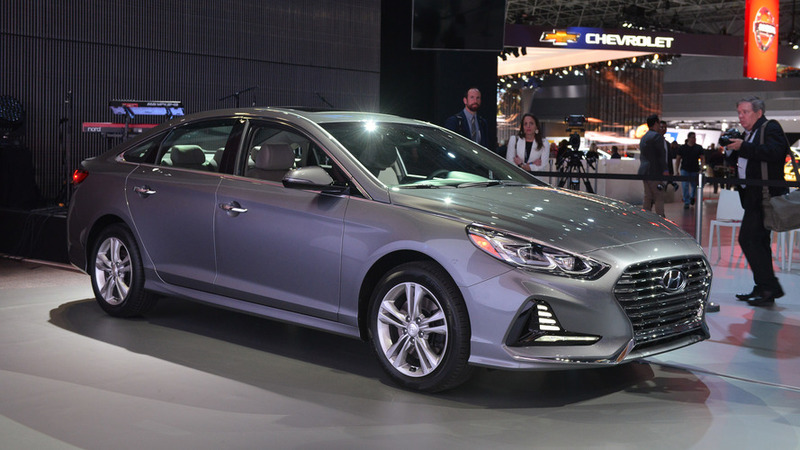 After debuting the updated Sonata for the South Korean market in March, Hyundai premieres the refreshed sedan for the North America at the New York Auto Show. 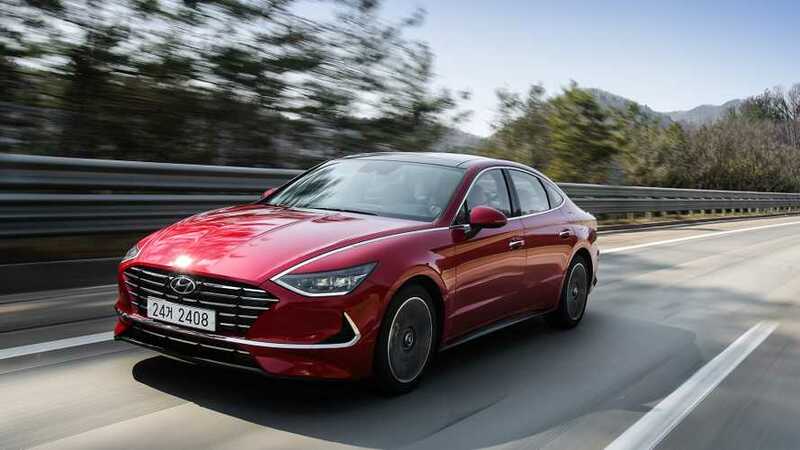 Like its counterpart on the other side of the globe, the refreshed 2018 Sonata features a revised front end that features Hyundai’s cascading grille and updated front fascia with vertical LED running lights. Full LED headlamps are an option, too. The Sonata Sport trim and 2.0T models has a mesh-trimmed version of the new grille. The re-sculpted hood appears to dip lower at the front, which gives the four-door a sleeker appearance. At the back, there are now LED taillights, and “Sonata” lettering across the trunk lid. The Sonata’s mechanical updates should please drivers. 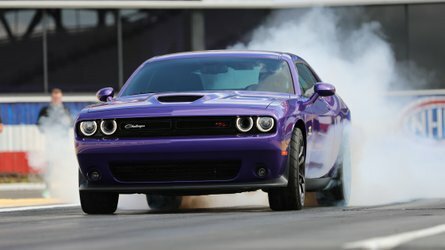 A new steering calibration increases response behind the wheel. Thicker trailing arms and new bushings make the rear suspension stiffer, too. Customers who opt for the 2.0-liter turbocharged engine now get an eight-speed automatic. 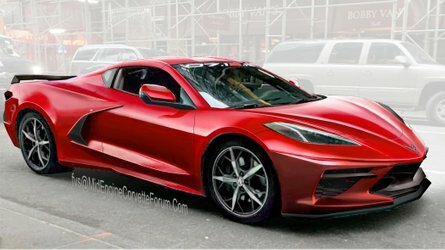 The company claims the gearbox improves acceleration and fuel economy with the powerplant versus the current six-speed auto, but the automaker doesn’t offer specific numbers. The 2018 Sonata arrives later this year, but Hyundai doesn’t have pricing details for the new model yet. You can get a great look at the updated sedan below in the company’s 142-image gallery. Plus, expect even more live images of the Sonata from Motor1’s team at the New York Auto Show. Inside, the renewed center stack and instrument panel echo the exterior’s catching new looks. The trend carries down to gauge dial design and a strong three­spoke steering wheel. Piano key buttons for audio and HVAC controls give a premium look and touch. The new Sonata has a refined chassis with improved ride and handling. To achieve this feat, talented engineers increased the torsion bar stiffness within the steering system by 12 percent, which improves steering response and feel in all conditions. 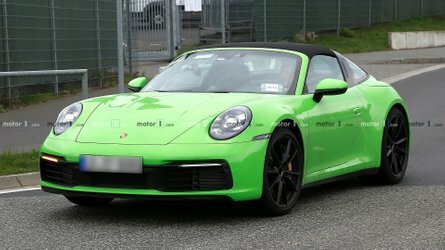 They then enhanced that improvement further with new steering calibration, focusing on responsiveness and on­center steering feel. 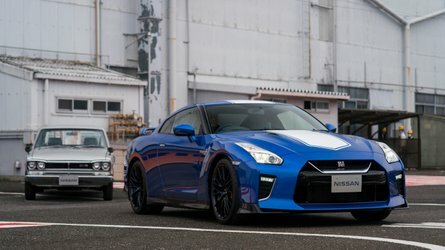 Previous ratings for ride, handling and NVH showed customers were quite satisfied, so engineers just reset an already high bar. For the top­of­the­line powertrain, there’s even more. The 245 horsepower 2.0­liter turbocharged engine now includes an eight­ speed automatic transmission, which adds ratio range at both the top and bottom of output speeds. The eight­speed allows for extra thrust off­the­line and a quieter, more fuel­efficient dash down the interstate. The 2.0­liter turbo models roll on 18­inch wheels, now with Michelin tires. The 2018 Sonata features a standard seven­inch color display audio touchscreen with both Apple CarPlay® and Android Auto® integration. Speaking of smartphones, driver and passenger alike can keep them charged without a plug using the available Qi standard wireless charging pad. Sonata now adds a second row USB charge port, a nod to today’s connected rear­seat passengers. Available navigation systems now come with a bird’s eye view feature as well as traffic flow and incident data, without ever having to pay a subscription for the service. The Sonata offers more safety features in 2018. In addition to seven standard airbags (dual front, side, and curtain, as well as driver’s knee) and a battery of safety systems (VSM, ESC, TCS, ABS, EBD, BA, and TPMS) comes Blind Spot Detection (BSD) with Rear Cross­Traffic Alert (RCTA). The Sonata is the only Midsize car sold with this safety technology as standard equipment. Despite drivers spending a tiny amount of time in reverse, one­quarter of all accidents happen when someone is backing up. BSD with RCTA gives drivers peace of mind that the road behind them is clear. Furthermore, there’s also a new Lane Departure Warning system with an enhanced Lane Keep Assist function available. As our cars become a mobile extension of the connected world, Blue Link continues to add more features to integrate your life. Rear Cross­Traffic Alert (RCTA). The Sonata is the only Midsize car sold with this safety technology as standard equipment. Despite drivers spending a tiny amount of time in reverse, one­quarter of all accidents happen when someone is backing up. BSD with RCTA gives drivers peace of mind that the road behind them is clear. Furthermore, there’s also a new Lane Departure Warning system with an enhanced Lane Keep Assist function available. As our cars become a mobile extension of the connected world, Blue Link continues to add more features to integrate your life. Blue Link now talks to Amazon EchoTM, allowing you to control your car inside your home, or wherever the Amazon device is located. Hyundai Motor America, headquartered in Fountain Valley, Calif., is a subsidiary of Hyundai Motor Company of Korea. 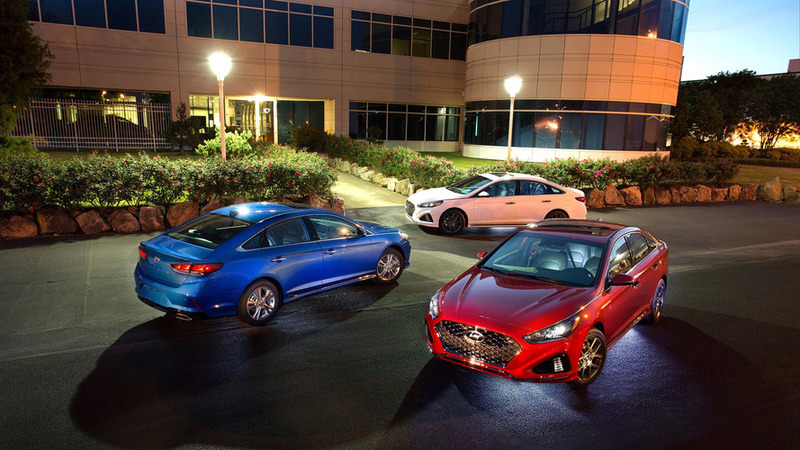 Hyundai vehicles are distributed throughout the United States by Hyundai Motor America and are sold and serviced through 835 dealerships nationwide. 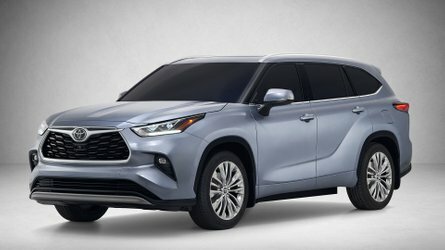 All new Hyundai vehicles sold in the U.S. are covered by the Hyundai Assurance program, which includes a 5­year/60,000­mile fully­transferable new vehicle limited warranty, Hyundai’s 10­year/100,000­mile powertrain limited warranty and five years of complimentary Roadside Assistance.